Description: Seemingly a private go-between for neighbors in this swanky hood. Steep! 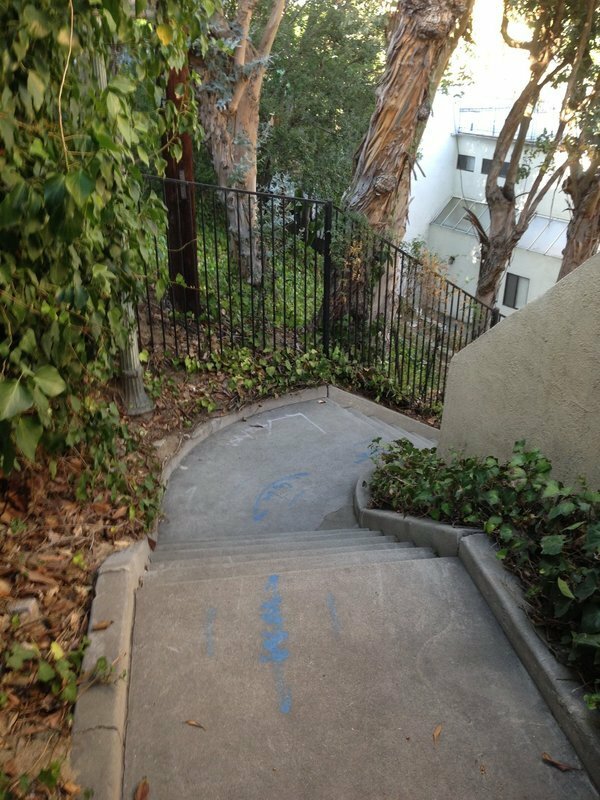 Summary: I know, I know, it’s only 70 steps— but they’re steep! The upper entrance leads thru a stucco archway that feels almost enchanted (it’s also right next to a multi-mil mansion with a gleaming white Lexus parked outside—typical for this posh hood). There’s lots of ivy near the top, and as you turn the corner you get a nice view of Los Feliz. All in all it’s a quick trip, but at least you get to feel like one of the locals for a moment! This one seems more like a hidden gem since the top empties out onto a cul-de-sac that whose exit I couldn’t even see.